While the development team at the USC Game Innovation Lab insist Walden, a game isn’t meant to just be an educational experience, I'm afraid I can't see it as anything else because it isn't much of a video game. 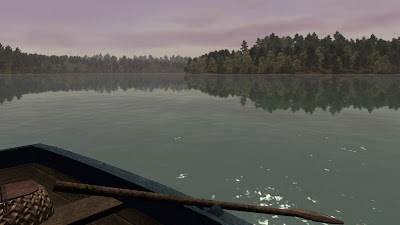 Seeing the world through Henry David Thoreau’s eyes as he lives off the land at Walden Pond is certainly an interesting concept, but the execution here is so dry and the gameplay so clunky and boring it is extremely hard to get into. As companion material for students studying Thoreau, Walden, a game is probably absolutely fantastic. As a game anyone would play for fun, however, it falls well short. Continue reading our Walden, a game PS4 review for more. In 1845 Henry David Thoreau decided to he wanted to get away from civilization and live off the land in a small cabin near Walden Pond in Massachusetts. For two years, two months, and two days he gathered food, fished in the pond, tended his bean garden, and frequently traveled to the nearby village of Concord. This game, Walden, has you re-living his daily activities as philosophy is spouted at you at a near constant basis. 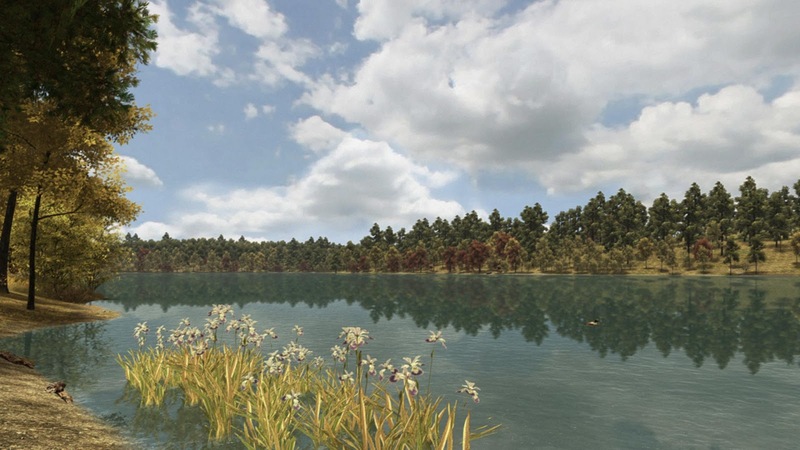 Walden, a game is a first-person adventure walking simulator-style game. While living off the land and surviving is the goal, it isn't actually a survival game to the point you can actually just not do stuff and there aren’t really any consequences. Well, Thoreau does lose his inspiration, which causes his movement to become sluggish and slow if you don’t make any effort, but you won’t see a game over. The point here, then, is just to absorb Thoreau’s philosophy and experience the tranquility of nature. Except it’s boring. Really, really boring. Even in a genre that isn’t exactly known for being exciting, Walden, a game stands out for being really freaking bland. Other walking simulators tell interesting stories or give you beautiful worlds to explore that keep you engaged, but Walden does neither of those things. Perhaps if you love Thoreau’s writing and agree with his philosophy then it might draw you in more, but as an outsider trying to get a peek into this world I have to say it’s just really bland. Even though I haven’t read Thoreau I have enjoyed works inspired by him, most notably “My Side of the Mountain” by Jean George, which is one of my all time favorite books. I approached this game kind of hoping for my own adventure actually having to survive off of the rugged wilderness, but as I mentioned, survival isn’t the point here. I take full responsibility for my disappointment, since I expected something the game was never intended to be, but what the game actually is isn’t particularly good, which is a bigger problem. The game is just not fun to play. Your movement speed, even when you have “inspiration” is plodding at best. Interacting with items in the environment is clunky and awkward as you shimmy around and hammer the interact button until you’re in the proper position for Thoreau’s hand to actually reach out and grab something. The analog stick motions the game asks of you to do things like chop wood or cast your fishing line also don’t register properly a good bit of the time. If you’ve read PSXBoxIndies before you should know that I actually am a huge fan of slowly paced, narrative driven, walking simulator-style games so Walden, a game should be right up my alley. The problem is that it doesn’t really get anything right that makes me enjoy so many other games in the genre. The story isn’t interesting. The storytelling style is dry and pretentious. The gameplay is awkward and clunky and slow. And the presentation isn’t great. The game is kind of ugly and last-gen looking, honestly, which makes it hard to soak in the beauty of nature like the game wants you to. 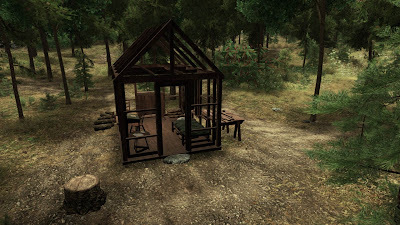 When you put it all together, Walden, a game isn’t going to be very appealing for most gamers. There are dozens of walking sims out there that do everything Walden tries to do much more effectively. Likewise, there are tons of actual survival sims these days that task you with realistic survival as well, though most of them have combat and “enemies”, which is something I could do without (I want to re-live “My Side of the Mountain” remember). As a game you play for fun, Walden, a game is a failure. As an educational tool for students studying Thoreau’s work, however, I’m sure it will be very useful.